The limited collection Chanel Precieux Printemps Collection for the Spring 2013 season will be available from January 2013. 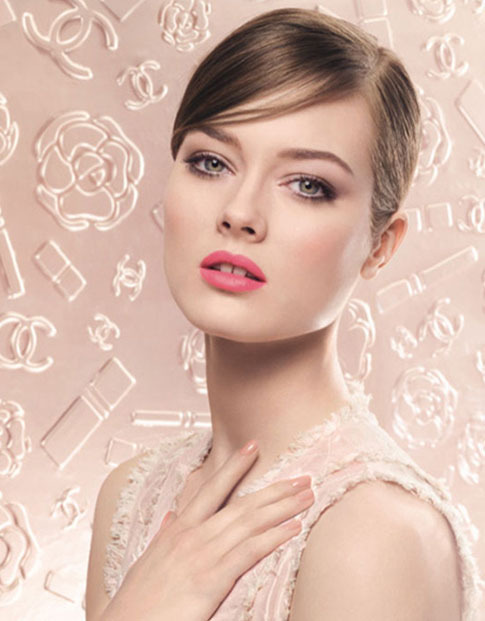 Natural warm colors and the glow of young skin are what the spring makeup by Chanel is focused around. Water-resistant eyeliner Stylo Yeux, which comes in Beryl and Santal shades, as well as the water-resistant liner of the Or Rose shade. Highlighting powder in Signee de Chanel shade. Joues Contraste Blush in Frivole shade. Rouge Allure Lipstick in four shades: Fantasque, Precieuse, Envoutante, and Captivante. Rouge Allure Velvet matte lipstick in two versions: L’Eclatante and La Favorite. Lip gloss Rouge Allure Extraid de Gloss in two shades: Merveille (from the main collection) and Attirance (seasonal). Le Vernis nail polish. Its three colors are: Emprise, Fracas, and Accessoire.